Braid tulle and vintage silk netting-veil from once Paul's Bridal in the garment district, New York can be a challenge. Each strand I begin with must be 45 inches long and twisting six layers is a new skill I have to master. 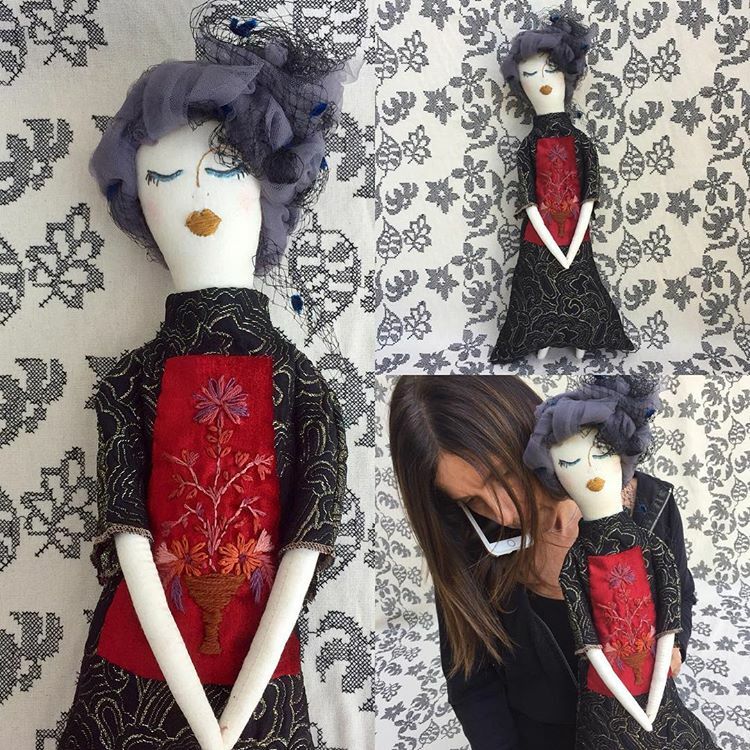 Today at my Menlo Park Showroom some customers loved the hair while others liked the dolls bald. Syrian women have beautiful hair and this collection must reflect that no matter what.